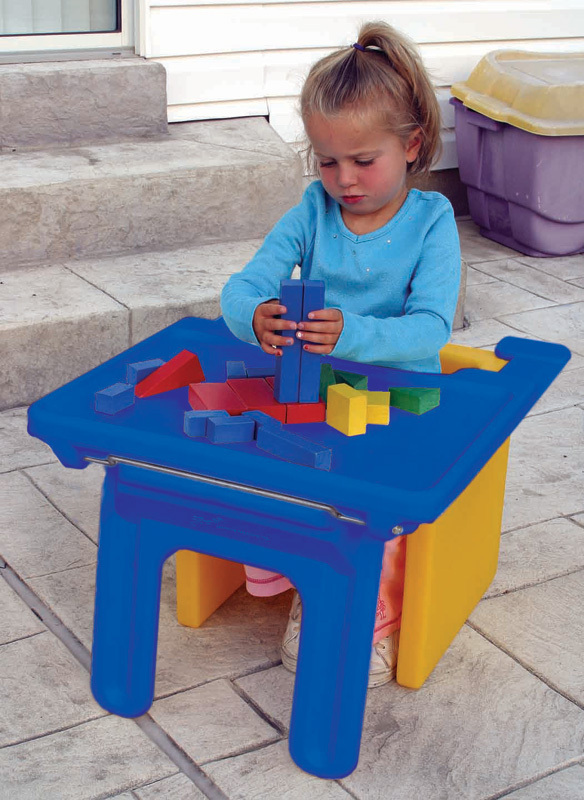 * This blue plastic tray rests onto the front of a Cube Chair to provide a play or eating surface close to the child. * Legs fold for flat storage. * Dimensions: 14" x 21" x 15"
27" x 21.5" x 5.65"